By any measure, Kevin Gibson is a public nuisance, a convicted felon with dozens of arrests and multiple state prison terms. But look at that half-beard! Gibson, who has previously graced these pages, was arrested Thursday evening in Miami Beach on felony narcotics charges. 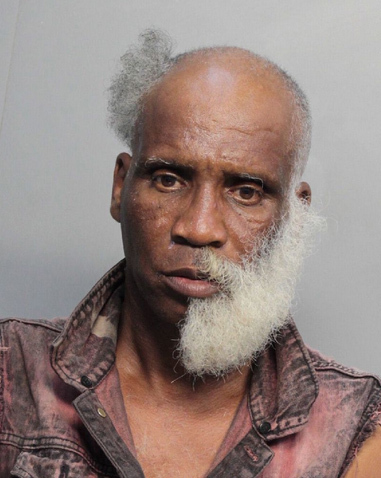 The 59-year-old drug dealer’s rap sheet includes convictions for most crimes codified in Florida’s criminal statutes (burglary; grand theft; robbery; kidnapping; cocaine sales; disorderly intoxication; battery; trespassing; strong arm robbery; theft; loitering; marijuana sales, etc.). 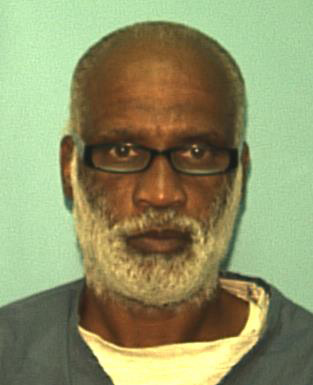 Upon Gibson’s inevitable return to the state system, his half-beard will surrender to institutional rules (as seen in the below 2016 Florida Department of Corrections photo). There Are Many Dumb Reasons To Assault Your Roommate. But This Is The Dumbest.